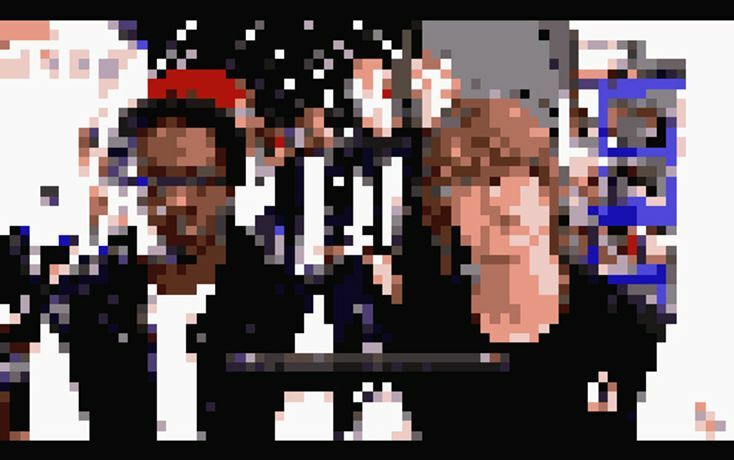 Join the Biters Live, a performance seeing artists Larry Achimapong and David Blandy take to the stage. The artists peform a collaged mix of lyrics, musical heritage and visuals drawing from each artists own identity. __________________________________________________________ Drawing analogies between art's history of appropriation and collage and Hip-hop's legacy of sampling, the project will scrutinise ideas around authorship, copyright and identity. Who owns the products we develop that take inspiration from other sources, is this âBiting' [Hip-hop slang for stealing]? What does authenticity mean in the information age? Larry Achiampong is a British-Ghanaian artist who has exhibited, performed and presented projects in various institutions within the UK and abroad including Tate Britain/Modern; London, Hauptbahnhof (dOCUMENTA 13); Kassel, Iniva; London, ICA; London, Westergasfabriek; Amsterdam, Ausland; Berlin, and the Bokoor African Popular Music Archives Foundation; Accra. David Blandy has exhibited at venues nationally and worldwide such as The Baltic; Gateshead The Bluecoat as part of the 2008 Liverpool Biennial, Turner Contemporary; Margate, Spike Island; Bristol, 176; London and Platform China Project Space; Beijing.